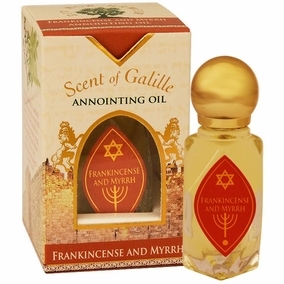 Scent of Galilee Frankincense and Myrrh Anointing Oil. The packaging is decorated with the 'Lion of Judah' on the walls of Jerusalem. The crystal shaped bottle inside features a label with a Star of David and Menorah. Size: 10ml / 0.33 Fl. Oz. 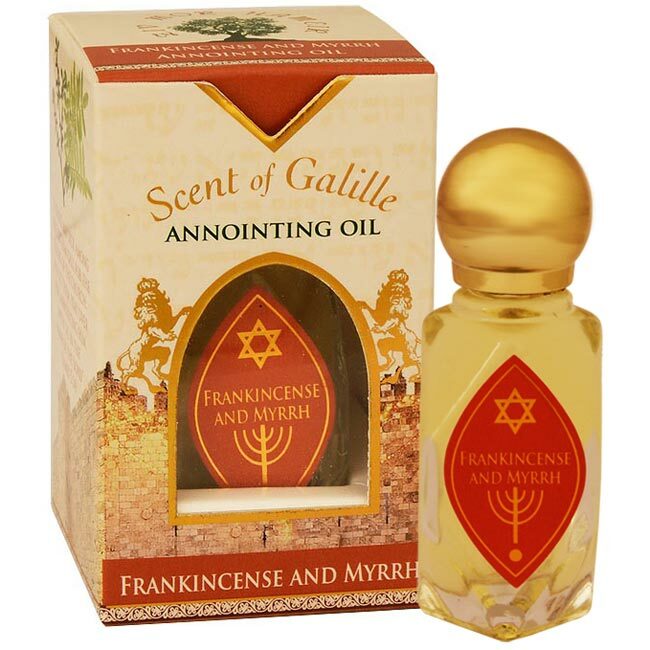 Made in the Galilee region of the Holy Land. Shipped to you directly from the Holy Land.